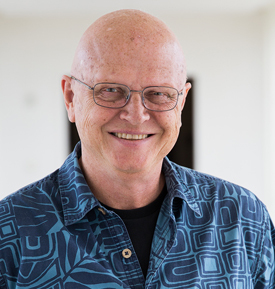 Dennis Muren is the Senior Visual Effects Supervisor and Creative Director of Industrial Light & Magic. A recipient of nine Oscars for Best Achievement in Visual Effects and a Technical Achievement Academy Award®, Muren is actively involved in the evolution of the company, as well as the design and development of new techniques and equipment. In June 1999, Muren became the first visual effects artist to be honored with a Star on the Hollywood Walk of Fame. In February 2007, he was honored with the Lifetime Achievement Award from the Visual Effects Society. Muren is currently working on a book focusing on “observation” for digital artists. As Creative Director of Industrial Light & Magic, Muren is a key member of the company’s leadership team and collaborates with all of ILM’s supervisors on each of the films that the company contributes to.